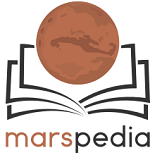 The Marspedia Technical Subcommittee is chartered by the Marspedia Governing Council to improve and maintain the wiki and its various technical aspects. We meet on the Mars Society Internet Task Force's Slack application, using the #marspedia channel there. To get an invite please contact James Burk (jburk) at jburk@marssociety.org. Here is the Current list of Action Items. First order of business is to review & secure who has permissions on the wiki and how to best organize the roles in Mediawiki. For example, we'll likely need a role for non-technical people that can edit protected pages but not necessarily be an admin of the whole wiki. Also we need to determine who has database & source code access to Marspedia. Also, we can talk about how else to improve the wiki including the implementation of anti-spam bots. This page was last edited on 14 November 2017, at 07:32.